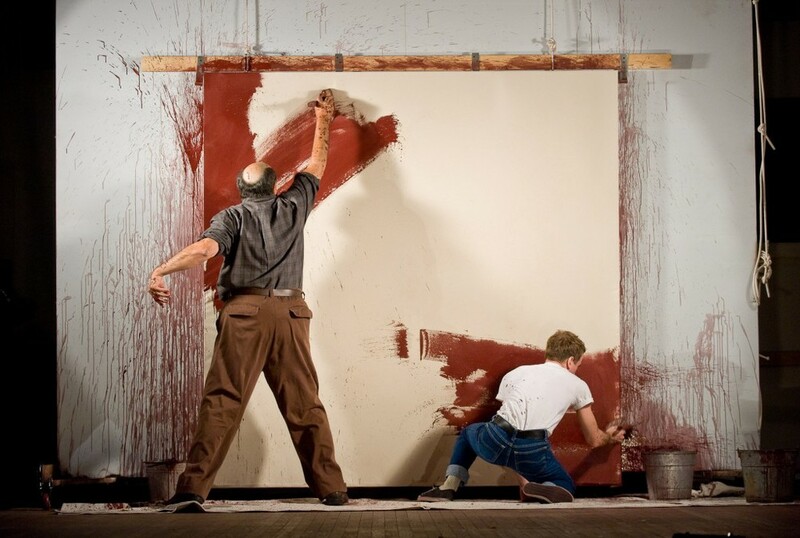 A play entitle “RED” is currently appearing in various regional US theaters including Seattle Repertory Theatre about the famed abstract expressionism painter Mark Ruthko. For those not familiar with Ruthko’s magnificent body of work, the play shares the extensive philosophy that motivated the artist’s efforts to reach the unique and the meaningful. This includes his creation of paintings for and then withdrawal of those same painting from the walls of the famed Four Seasons Restaurant in New York’s elite Seagram Building. RED (written by John Logan, who also wrote the film scripts for The Gladiator, The Aviator and Hugo) is a 90 minute exploration of the nature of creativity, truly worthy of the Tony Award that the play won in 2010. “To us art is an adventure into an unknown world, which can be explored only by those willing to take the risk”. “One does not paint for design students or historians but for human beings”. Thankfully the Tate Museum in London was able to convince Rothko to show at least some of his Four Seasons canvases in their gallery to the applause of all who saw them. But it is perhaps at the Rothko Chapel in Houston that one can see the full expression the artist’s commitment to meaning. The effect is stunning, simply stunning – spirituality without a restrictive creed, an expansive feast of simplicity that silently embraces everything. Today’s culinary professional will find a stolen evening’s viewing RED more than an evening off. They will, Instead, find the conflicting elements of their own career reflected in the play’s words and images. As the curtain closes, one is left with the impression that if only Rothko had only spoken with the chefs, instead of the building’s wealthy financiers, he would have hung his paintings with pride at the Four Seasons, knowing there were others there who were ALSO artists just like him – those who create not with paint, but with the very ingredients of the earth itself: Chefs! Post Note, March 1, 2012: Due to overwelling ticket demand, Seattle Repertory Theatre has extended the run of RED from February 24 to March 24, 2012. Fantastic! (Let's hope that all those who enjoy RED also enjoy dinner out before the play). Post Note, February 29, 2012: While RED plays in Seattle, the Portland Art Museum is hosting a not-to-be-miss exhibition of paintings covering Rothko’s entire career. Honoring this amazing show is the Hotel Lucia’s newest cocktail “Red on the Rocks”. Layer .75 oz. of Cherry Heering Liqueur in a rocks glass. Soak 1 cube of sugar in bitters. Muddle sugar and 3 Cara Cara Orange slices. Add 1.5 oz. Bulleit Bourbon, .5 oz. of Dolin Blanc Vermouth and ice in a mixing tin and stir. Pour into the rocks glass. Float .75 oz. of Campari Italian Liqueur on top. When done, raise your glass to honor creativity and then enjoy because life is short but art, real art, is forever! Thank you Rothko. Thank you John Logan! Posted on March 1, 2012 by Ana Kinkaid and filed under Alcohol, Architecture, Art, Awards, Chefs, Cocktails, Creativity, Cuisine, Design, Films, Hospitality Industry, Hotels, Movies, Museums, Values and tagged Four Seasons Restaurant Hugo John Logan Mark Rothko Portland Art Museum RED Play Rothko Chapel Seattle Repertory Tate Museum The Aviator The Gladiator Tony Award.